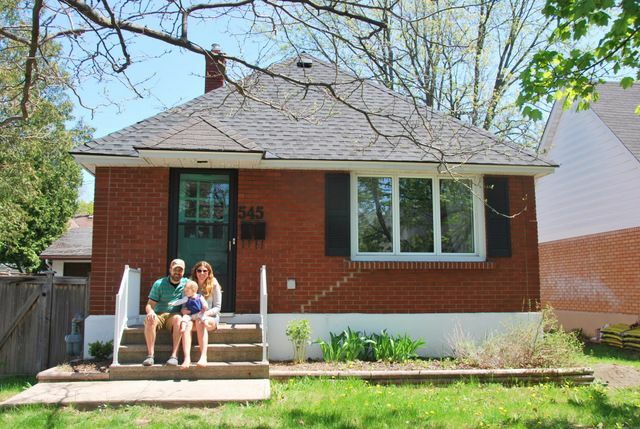 This little brick bungalow in Ottawa, Canada is home to Gemma Bonham-Carter; author of The Sweetest Digs blog. Gemma and her husband eventually decided to build on to their cottage, turning it into a three-story house big enough for their growing family. But before the major renovation, they fixed up the two bedroom, one bathroom bungalow one space at a time. 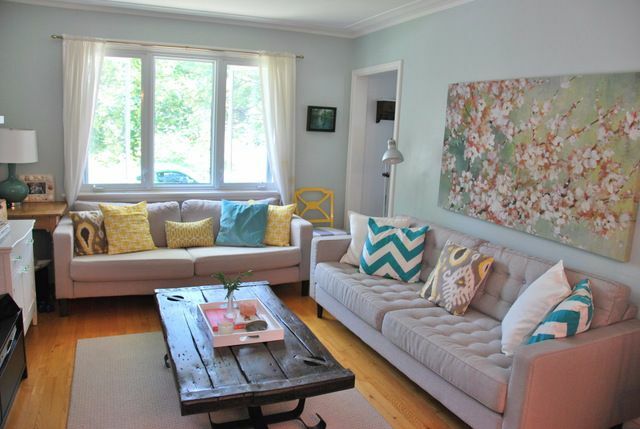 With each project they honed their DIY skills and perfected their style. 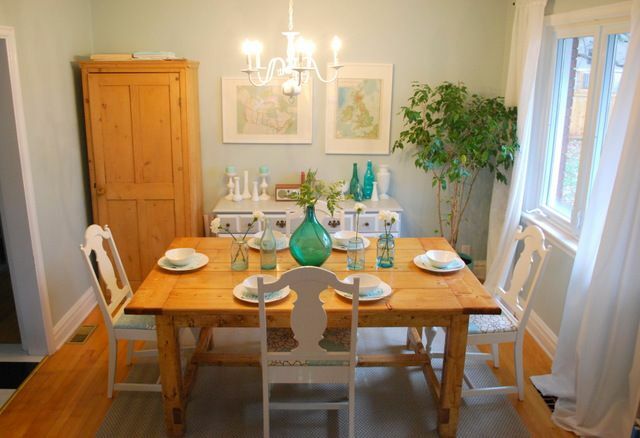 Take a look at a each beautiful room in the photo tour below. Gemma calls the living room the heart of their house and one of their favorite places to hang out. What once was stark and boring became bright and cheerful thanks to colorful accessories and floral artwork. This view of the living room shows the TV wall. The media cabinet is flanked by two white dressers, creating a wall of storage. Floating shelves add interest and allow leaning frames to be rearranged easily. The dining room is an open space just off of the living room. Almost every element is a DIY project. The chandelier was painted for a fresh look, hand-me down chairs were reupholstered, and the couple even built their own farmhouse table! 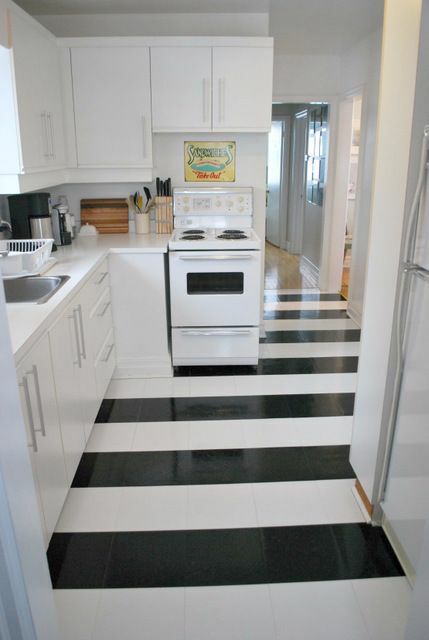 The adorable striped floors in the kitchen are a show stopper. The project was done with vinyl tiles, making it budget friendly and easy to execute. 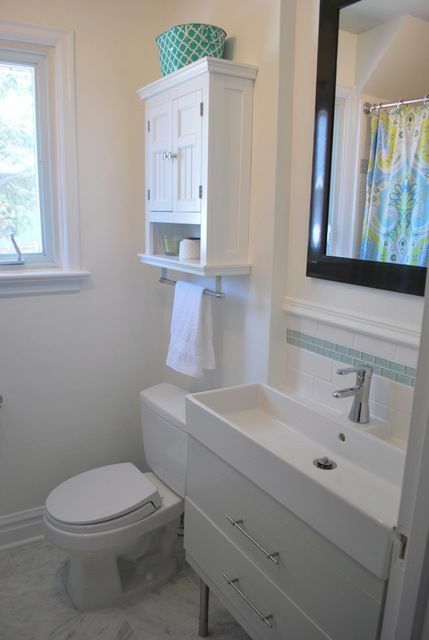 Before they gutted the bathroom Gemma says it was "boring, beige, and grimy." The Carrara marble floors in the bathroom add a touch of luxury, while the sleek vanity keeps the space clean and modern. 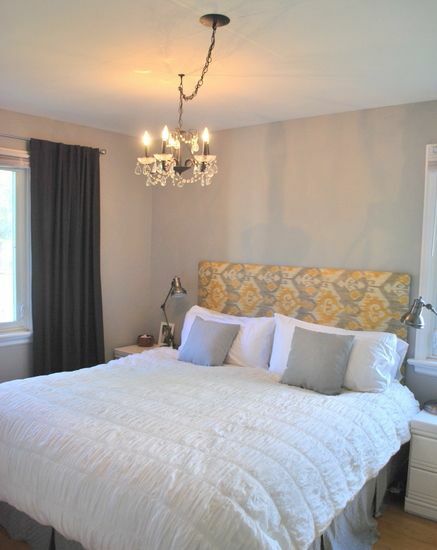 The master bedroom is comfortable and welcoming with bright windows and fluffy white bedding. The upholstered headboard is yet another clever DIY project. 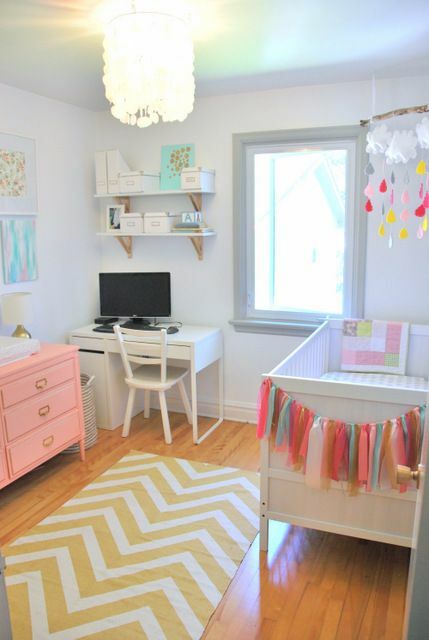 The second bedroom is the nursery, with a desk tucked into the corner to serve as a cozy office space. A pink, mint, and gold color scheme is feminine and happy. 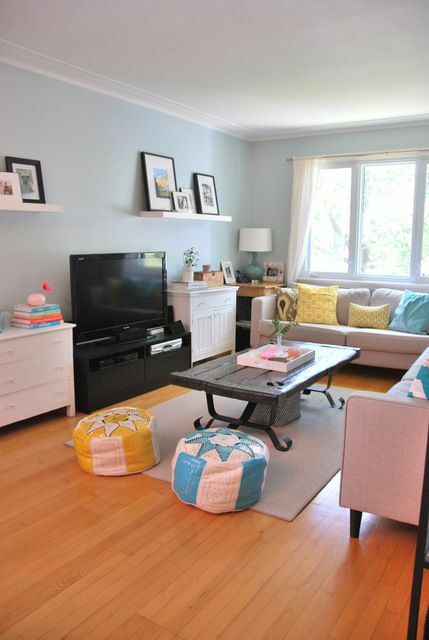 What did you think of this cheerful two-bedroom bungalow? Save this tour as inspiration for your next DIY project! And be sure to share it with family and friends on Facebook, Instagram, or Pinterest.